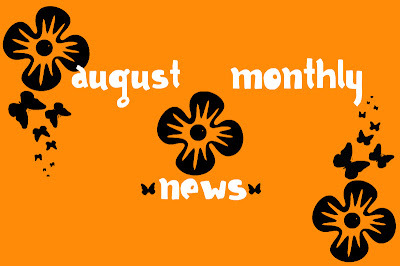 Welcome to the August edition of Monthly News. Our 3 year blogoversary was on the 2nd and we had a party!! See all about that HERE. We also went from a PR3 to a PR 4. We were also chosen to be a Canadian Beef Ambassador!! Read our post HERE. 4. Win a $500 Weekend Getaway Package from @ColleenCoble and Connect with her at 8/23 Facebook Party! 5.Win a Kindle Fire from @Sibella Giorello in "The Stars Shine Bright" Giveaway! 6. Enter to Win a Nook Color from Robert Whitlow and RSVP for 8/28 Facebook Party!